In this new holiday offering, Leif Pedersen, author of the popular children’s book series, The Adventures of the Swamp Kids, teams up with artist Mickey Asche to present an enchanting story about how Papa Noël comes to be. 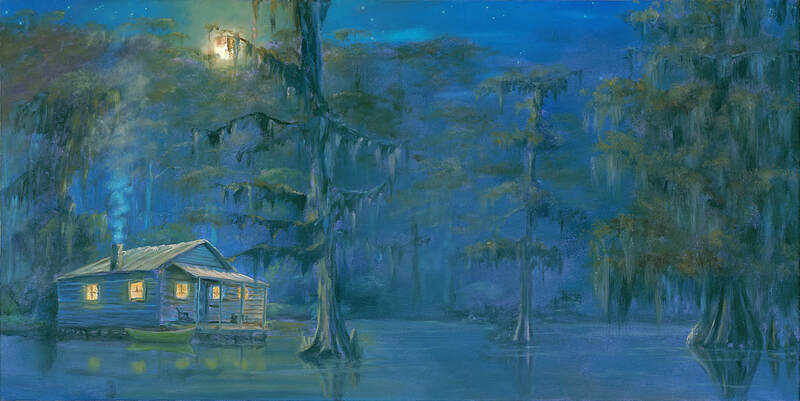 The visuals captured in Asche’s art perfectly convey the atmosphere found “deep down on the Atchafalaya” in Acadia’s bayou country. 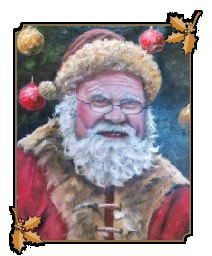 His oil on wood art illustrates beautifully the magical setting depicted in the book. Pedersen’s tale is positioned to join the ranks of other holiday classics such as A Cajun Night Before Christmas and The Legend of Papa Noël. And, his twist in showing how Papa was “hand-picked” to portray his new role in life, gives even more relevance to the other stories which preceded it. He is also the author of the successful children’s book series, The Adventures of the Swamp Kids. Leif can often be found “on site” signing books for the kids, their parents & grandparents along with his wife Sheryl, who handles all marketing and social media for his books. Mickey Asche has a wonderful and inspirational story to accompany his equally inspirational art. Born in 1963 in Louisville, KY he moved to Louisiana as a teenager with his family. Following in his father’s footsteps he went on to work as an Aviation Mechanic where he stayed for over 20 years. In 2005, shortly after Hurricane Katrina took his home, Mickey became immobile for four months from a knee injury. During that time, he began painting. He taught himself watercolor and soon moved to oils. Growing up in Southern Louisiana, he was immediately drawn to depict the rich wildlife this area has to offer along with the vast numbers of bayous, marsh and swamps. Soon after picking up a paint brush, Mickey left his career in aviation to paint full-time. Mickey resides in Mandeville, LA, and he and his wife, Lauren, often travel to shows across the country to exhibit and sell his art. This is his first venture into children’s book art but one of his best-selling pieces Christmas on the Bayou, was the catalyst for bringing Leif and Mickey together for their first collaboration, Bayou Santa. Bayou Santa and The Adventures of the Swamp Kids are published by Ally-Gator Book Bites and can be found on their web sites: www.bayousanta.com or www.theswampkids.com.